AAUA's First Class Graduates Offered Automatic Employment The Executive Governor of Ondo State, Dr Olusegun Mimiko has today announced automatic employment offer to willing best graduates of Adekunle Ajasin University, Akungba Akoko. During the conferment of Degrees and Award/Prizes at the 6th Convocation ceremony of the institution which held at OBJ Hall, the governor who is an alumnus of Obafemi Awolowo University admitted that it is the duty of the government to encourage graduands with brilliant academic performance and as such offered the First Class students automatic employment. He further stressed the need for the graduands to keep aiming high even as he wishes them well as they go into the labour market. "Its is the responsibility of government to encourage achievements of brilliant minds. I am happy to announce automatic employment to willing best graduates to Ondo State Civil Service. African Regional Youth Forum For World Heritage 2016 In South Africa (Fully Funded) The African World Heritage Fund and the UNESCO World Heritage Centre in partnership with the Robben Island Museum are pleased to announce a call for participants for a regional youth forum from the 28th April to the 4th May 2016 at the Robben Island World Heritage Site in Cape Town, South Africa. Prof. Y. K. Yusuf Saga: Students' Union Officers Face Panel Two Central Executive Council (CEC) members of the Obafemi Awolowo University Students' Union on Thursday faced an inquiry panel set up the University Management to investigate the alleged assault on the former Dean of the Faculty of Arts, Professor Y. K. Yusuf last month. The Union Officers invited to face the Panel include; the Public Relations Officer of the Students' Union, Ojedokun Emmanuel a.k.a Immanuel Kant and the President of the Union, Akande Omotayo a.k.a TY. TY and Kant has however since denied the allegation of assault saying they are cultured individuals and will not assault such a member of Staff. Read details of the incidence here if you missed the story then. 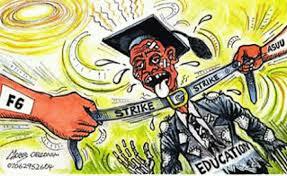 SSANU Declares Indefinite Strike SENIOR university staff under the aegis of Senior Staff Association of Nigeria Universities (SSANU) will begin an indefinite strike action from December 24 to protest the sack of over 2,000 staff teachers. The National President of SSANU, Samson Ugwoke, explained in Abuja yesterday that the universities’ councils employed the affected staff from 31 universities for more than 10 years. He said further that the directive to disengage the staff schools’ teachers emanated from a circular purportedly written on behalf of the Minister of Education and signed by the Deputy Director in the ministry, Fayemi E. O. dated April 21, 2015, with an attached memorandum and report from the National Salaries, Income and Wages Commission, dated March 5, 2014 and February 2014 respectively. The directive asked agencies that had been funding the personnel costs of staff primary schools in the federal budget to stop the practice with immediate effect. 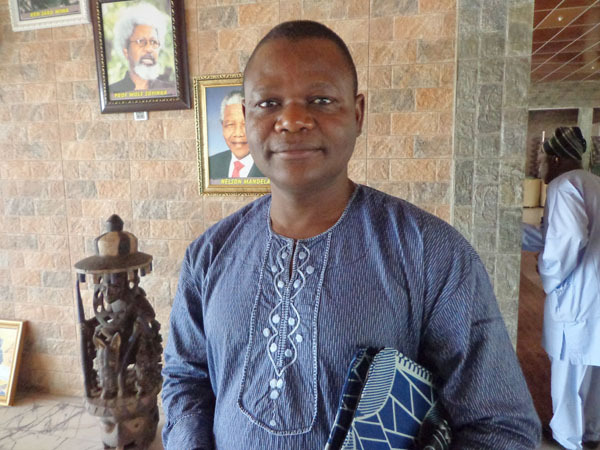 Before Change, We Need Restoration – Prof. Gbemisola Adeoti The Dean of the Faculty of Arts, Obafemi Awolowo University, Professor Gbemisola Adeoti has said the much talked about change been pervaded by Nigerians need to be preceded by restoration. 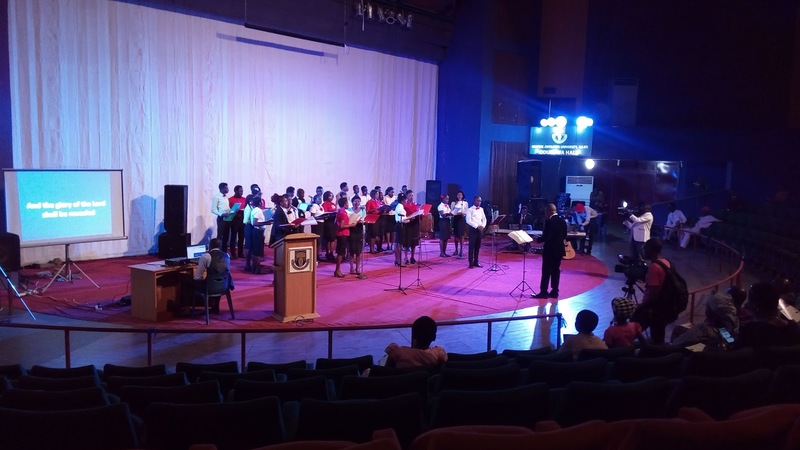 During the OAU Christmas Concert organized by the Department of Music which held at Oduduwa Hall of the University yesterday, the Dean appreciated the music department and also emphasized the importance and influence of artistes and music in human lives. “Whether as performing art or creative art, people see that we are the salt of the earth as said in the bible. We artistes are usually the salt of the world. We are people that put melody into your life as they have done tonight. I want to commend the effort of the Head of Department and our colleagues; members of staff and the students of the department.” He said. Want More Sales? Promote Your Business On OAU Peeps Do you have products or services you want to showcase to the world and triple your sales? Well, you do not have to look any further because we provide you with such a great avenue. • Mobile Ads - Adverts appear on every article published on our website. It will be visible to both mobile and desktop users. 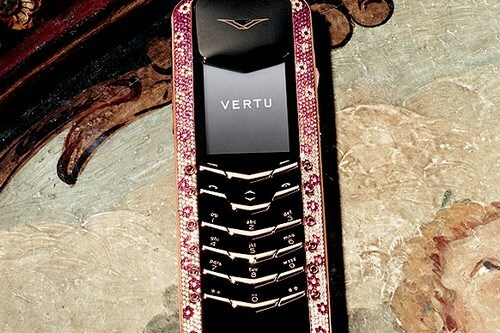 See the 10 Most Expensive Mobile Phones In The World Most expensive mobile phones: Phone is a major requirement of our daily lives. Mobile phone or even has the prices vary widely ranging from the cheapest phones in the world up to the most expensive mobile phone in the world. In today’s society, there aren’t many things that people are more attached to than their mobile phones. A person’s cell phone is his gateway into everything that goes on in his life. With the recent advances in technology, it now seems as if your cell phone can do everything that your computer can do. It then comes as no surprise that your cell phone could cost as much as it does. If you’re in the market for a phone that will do nearly everything, then you should expect to pay a lot of money. Here is a list of world’s top 10 most expensive mobile phones. 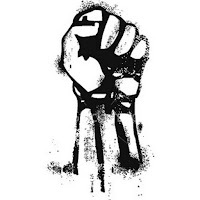 Bus Drivers, Town Gboro Resume Operation On OAU Campus The drivers of Public transport buses popularly known as 'town gboro' have resumed operation within the Obafemi Awolowo University campus after about two weeks of protest. 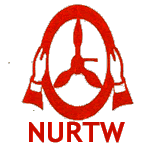 Some weeks ago, the National Union of Road Transport Workers, NURTW (Ife Mini Bus) condemned what it described as barbaric behaviour of the Students' Union of OAU over the beating of one of its members for allegedly stealing a phone belonging to a student of the university, as such, downed tools and stopped operation within the University community. 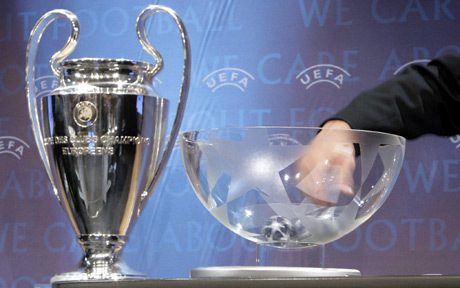 The round of 16 UEFA Champions League draws have been made with some of Europe’s finest set to meet each other at the round of 16 stage. The Line up of teams drawn: Champions League last 16 line up The first legs will take place on 16/17 and 23/24 February, with the return games to be played on 8/9 and 15/16 March.